Eunice,LA (PPN)- Former students of St. Edmunds Catholic School contacted Pen Point News disputing face painting traditions. Many students suggest that this is an attempt to sweep wrong behavior under the rug. Former students, current students, and many community members wanted to remain anonymous due to the possible retaliation from business men in the community. One current student contacted Pen Point News and gave an interview. He later called back and asked that his voice be removed due to the racial comments and threats that were under the article. St. Edmund Catholic School have less than 5 African American students. The only African American that is on staff is a custodian according to school website. 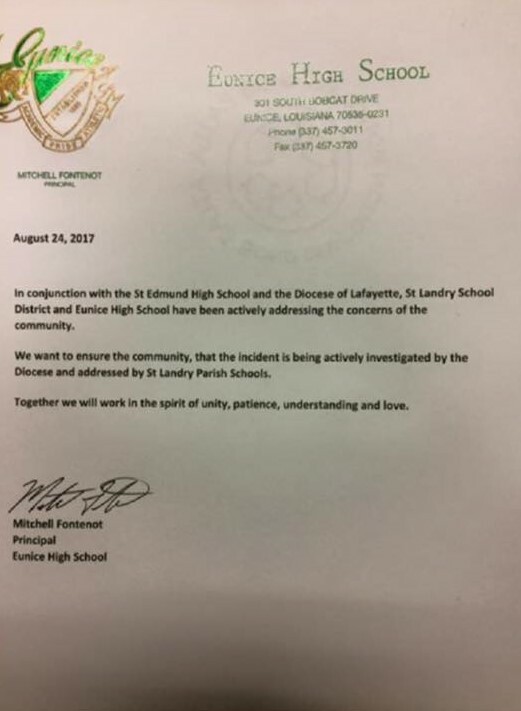 Eunice High School Principal Mitchell Fontenot, father of the student who participated painting brown faces on St. Edmund’s Catholic School freshmen issued a statement to the community. 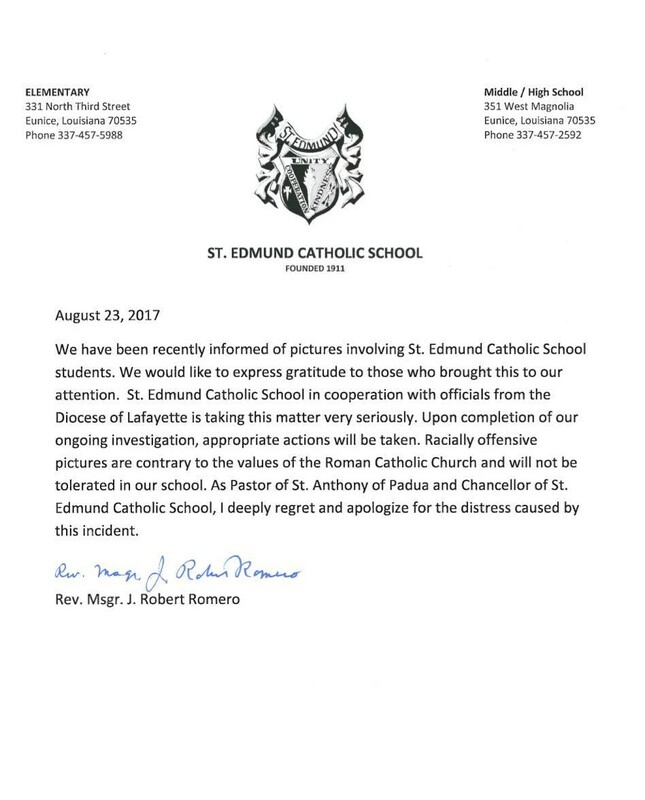 St. Edmund Catholic School issued a statement.